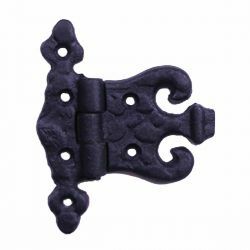 Wrought iron hinges are strong and add an authentic old world charm to your home. 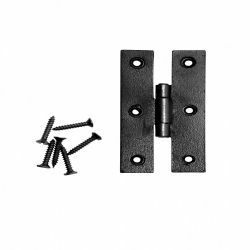 Embellish your cabinets, doors or gates with beautiful and durable wrought iron hinges. 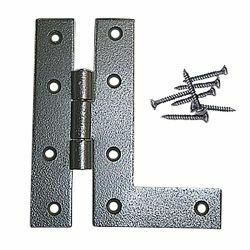 Easily and affordable repair old doors by replacing the hinges. 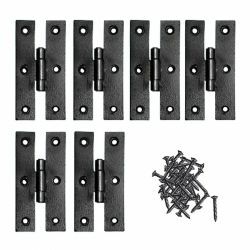 Choose from a variety of strap hinges, pintle hinges, rustic hinges and black hinges. 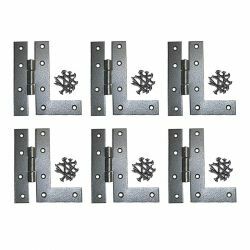 Decorative hinges add distinctive appeal to any cabinet, door or gate. 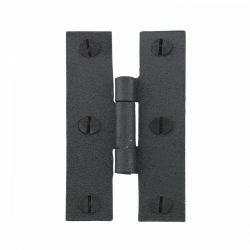 The finest architects and designers use them for steel gates, heavy duty wooden gates, doors and cabinets. 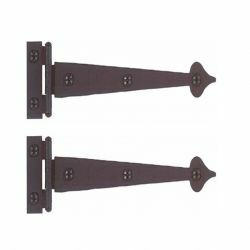 By accenting doors and gates with durable, decorative iron door hinges, you are able to create a particular feel in a home’s decor. 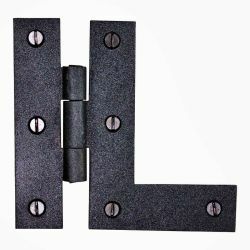 Gate, door and cabinets hinges are able to be created in many traditional designs such as: Craftsman, Colonial, Country, Victorian, and Rustic, in a variety of sizes and finishes to fit your exact needs and decorating style. 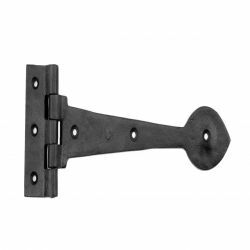 Some have the same texture and style to match existing hardware pieces.